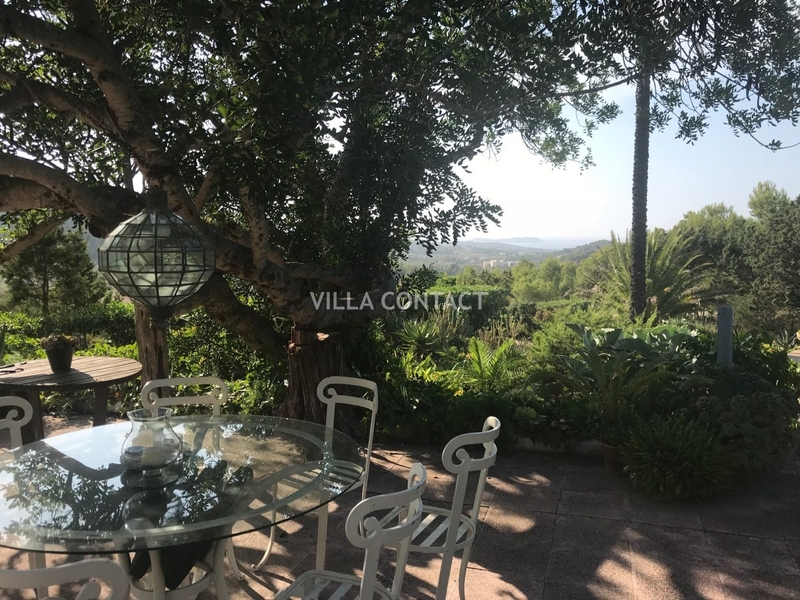 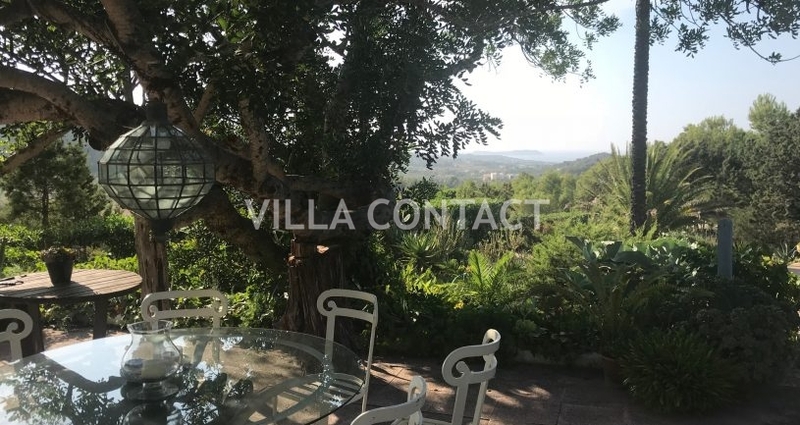 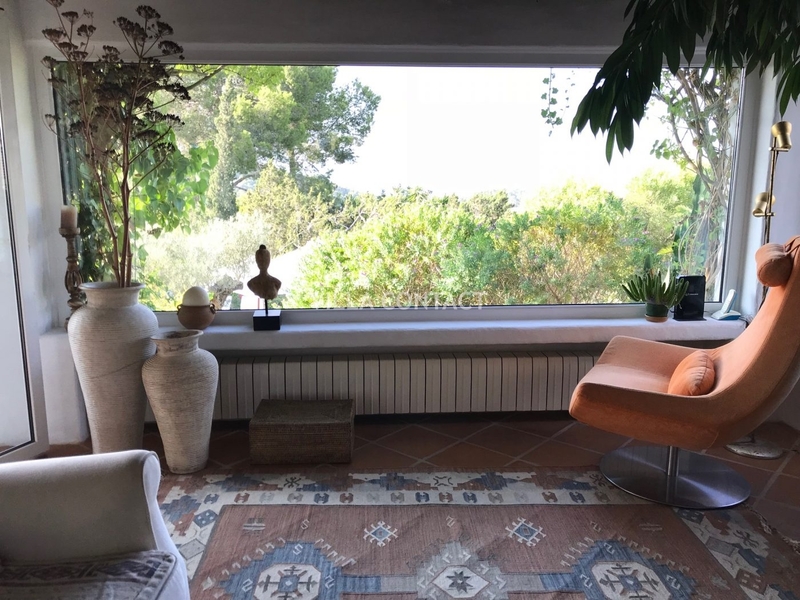 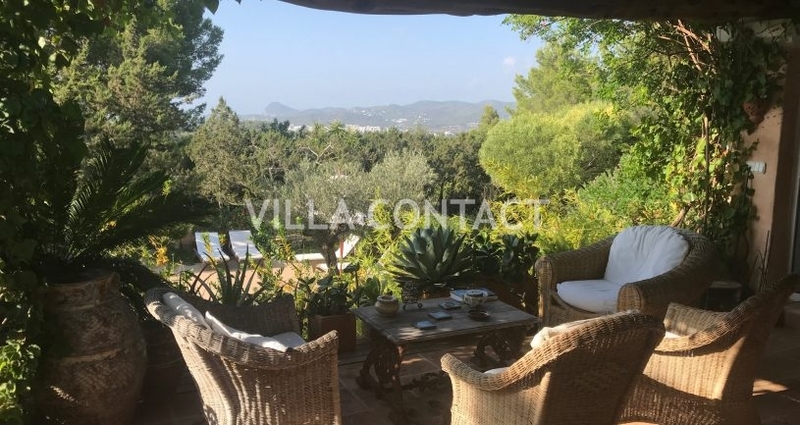 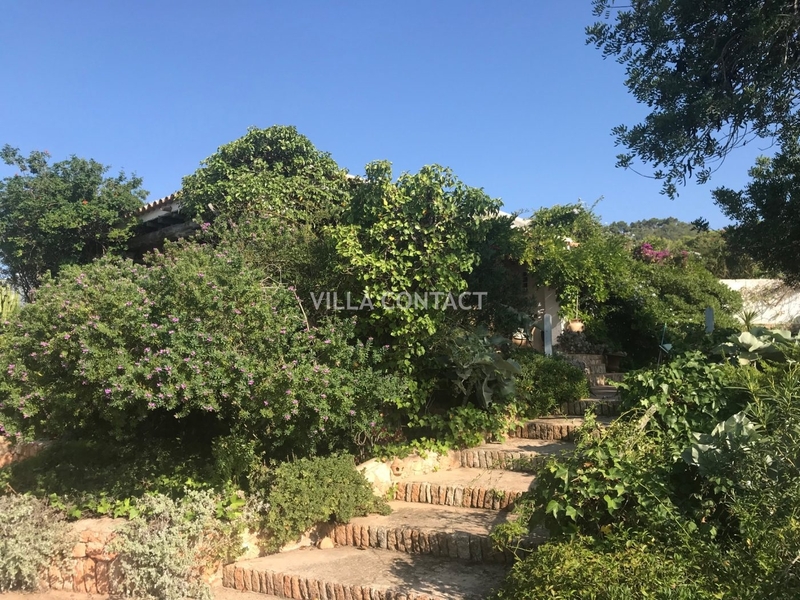 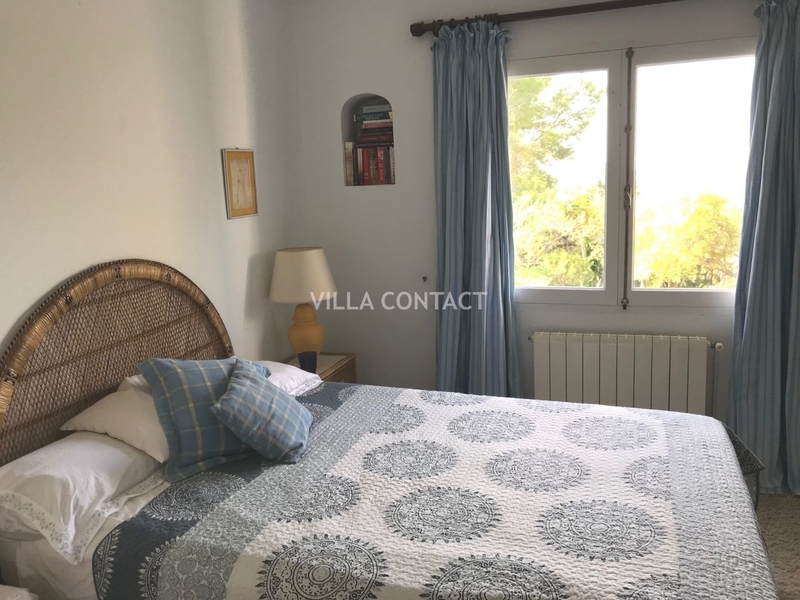 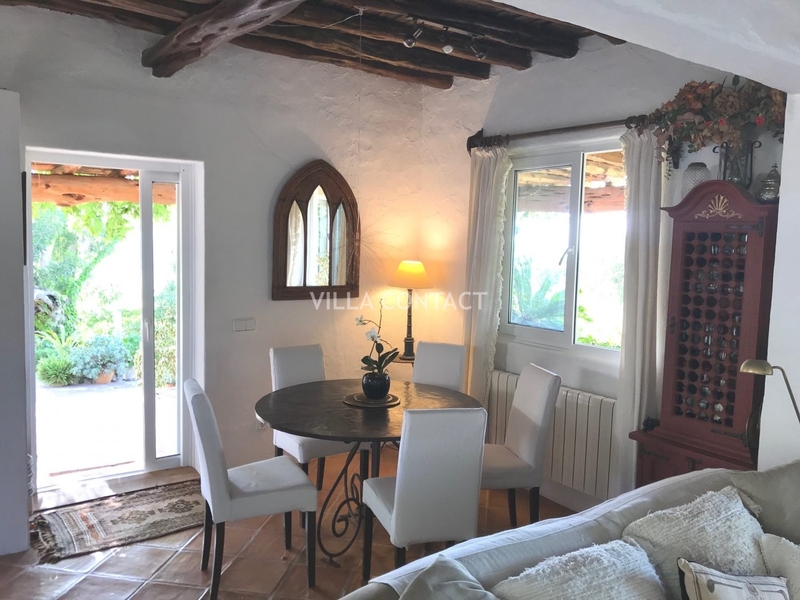 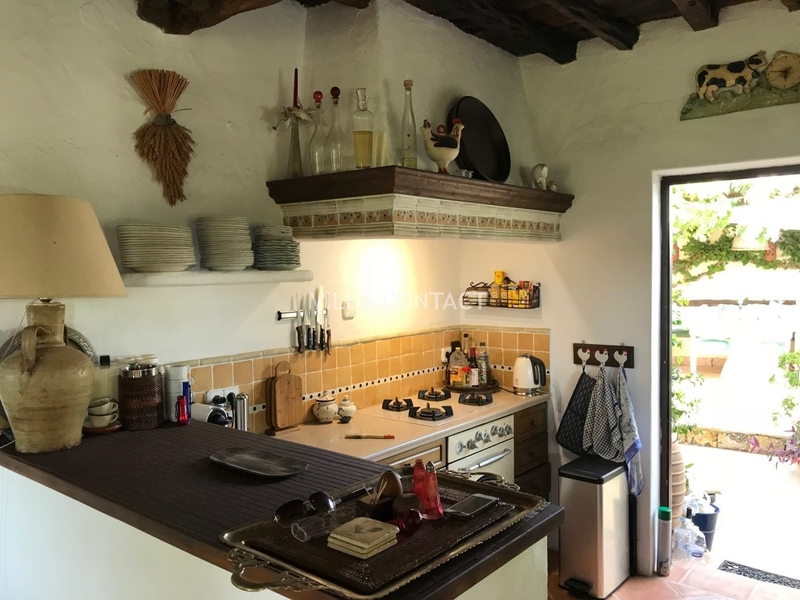 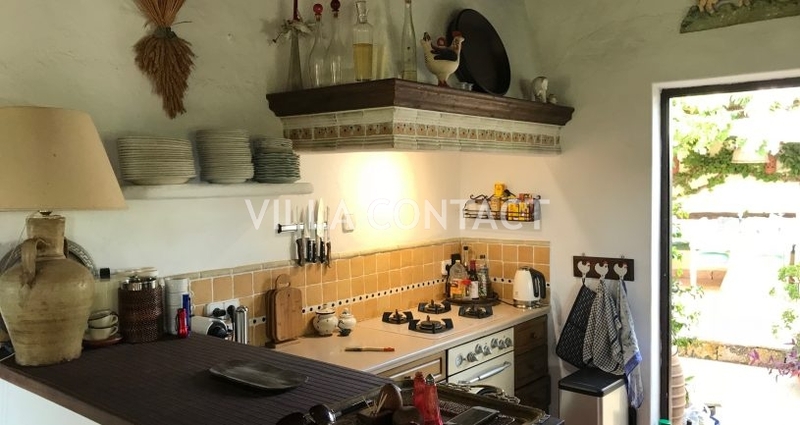 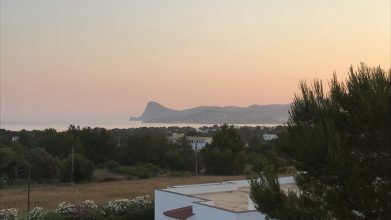 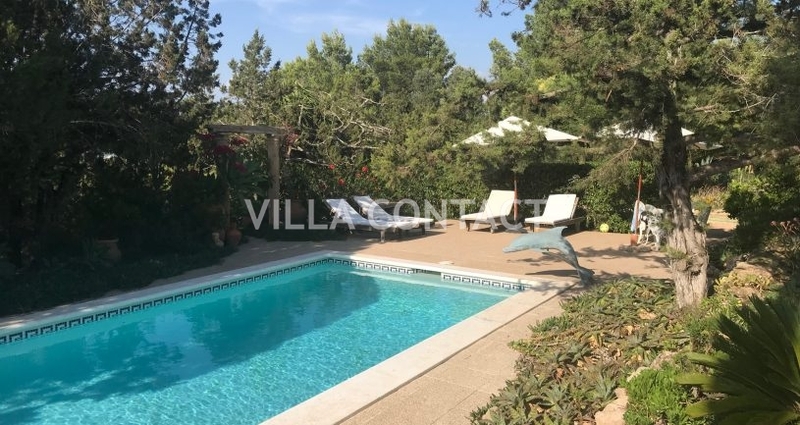 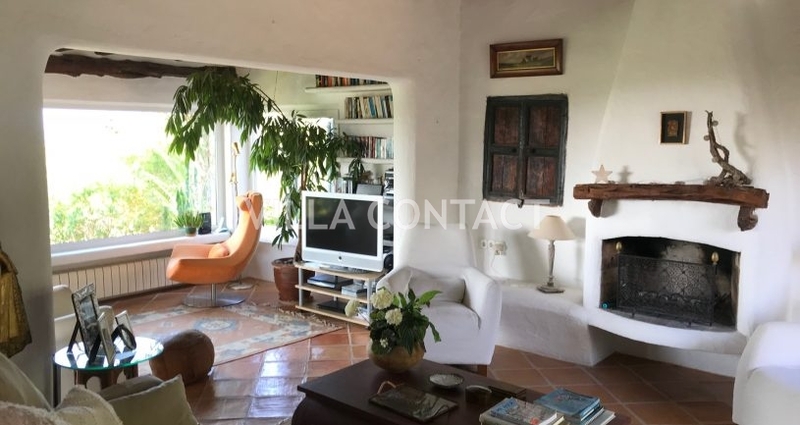 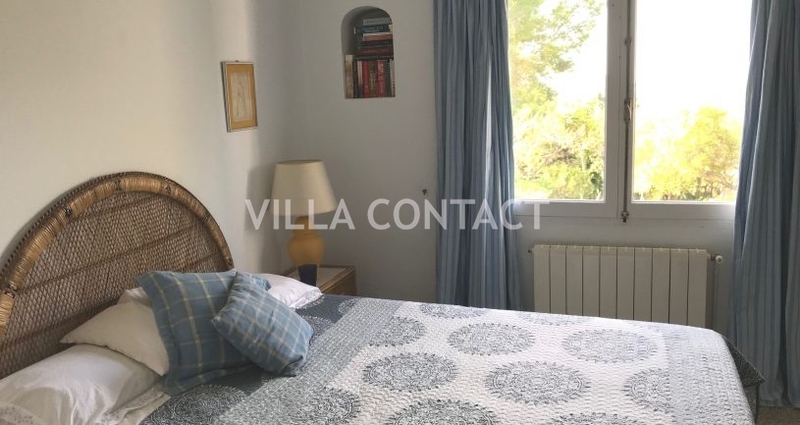 Charming country house with stunning views of Conejera Island, Cap Nono and the bay of San Antonio located near the quaint village of San Agustin. 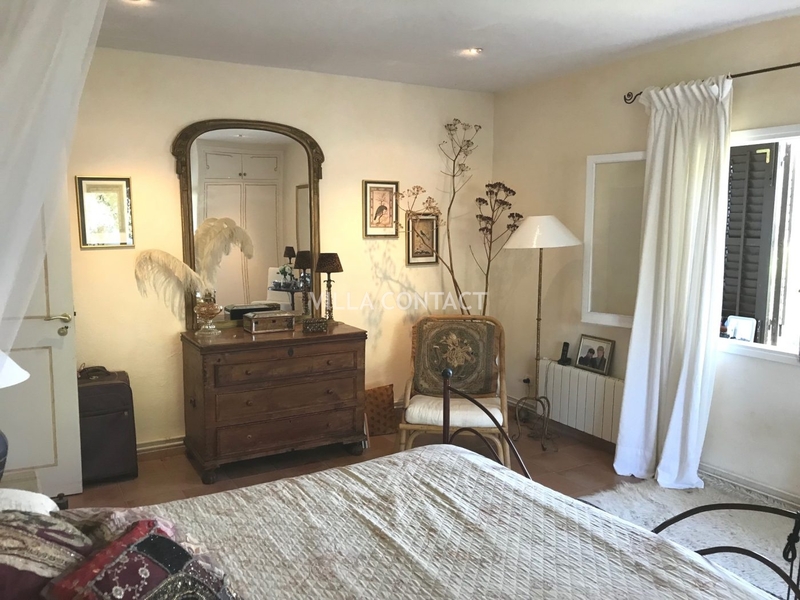 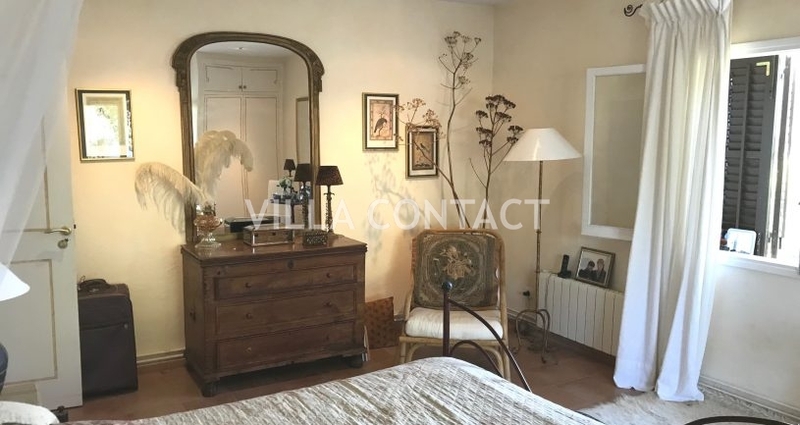 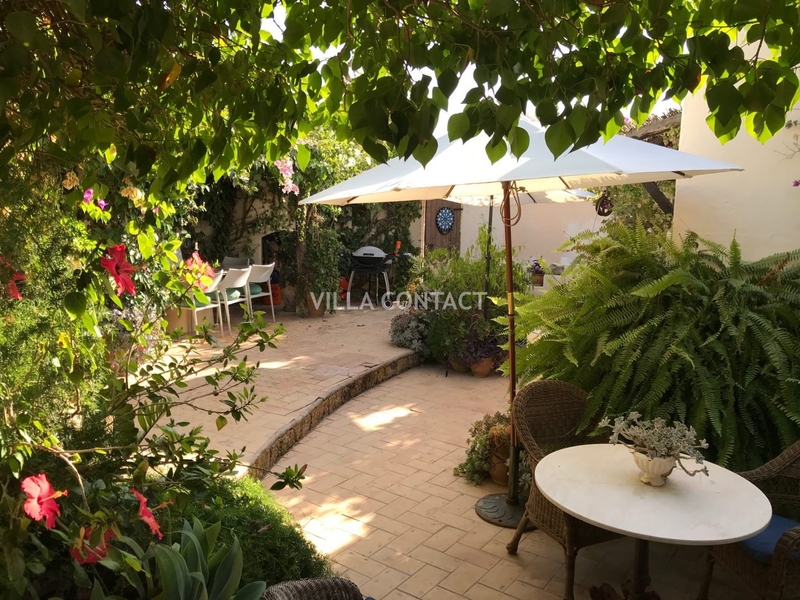 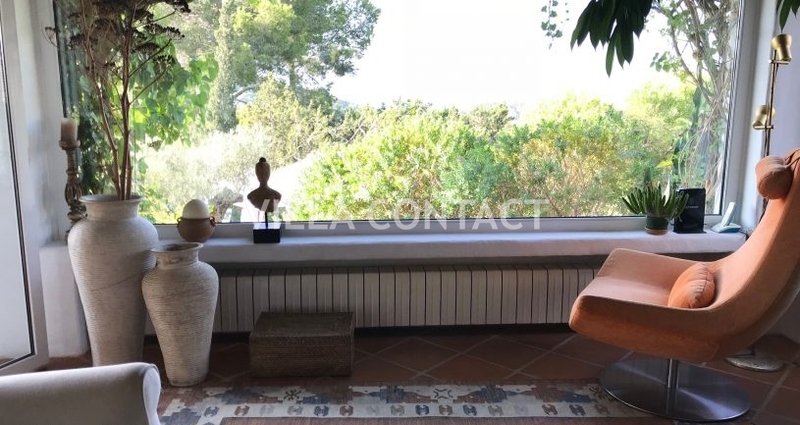 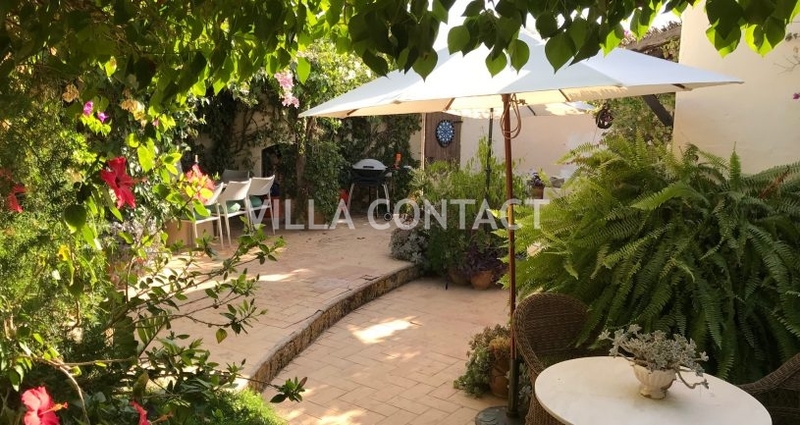 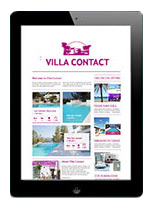 The property is accessed through a lovely courtyard and is distributed on one floor. 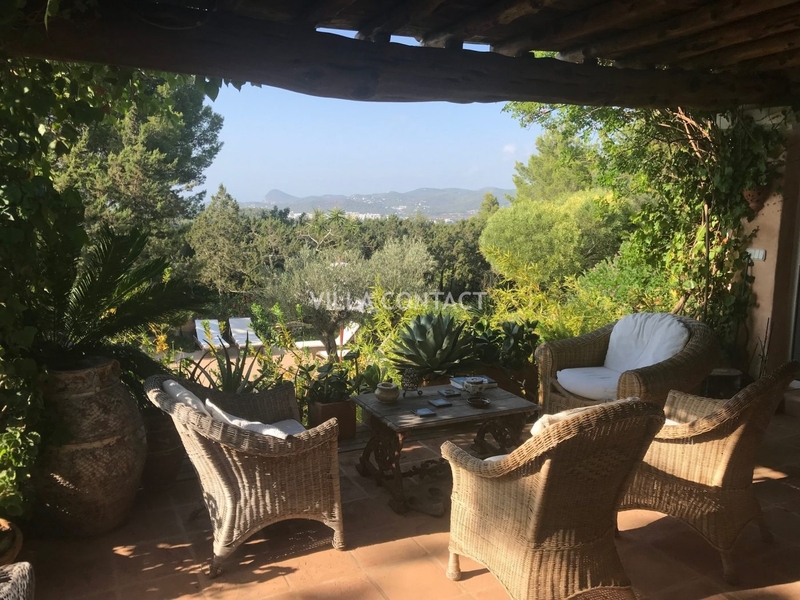 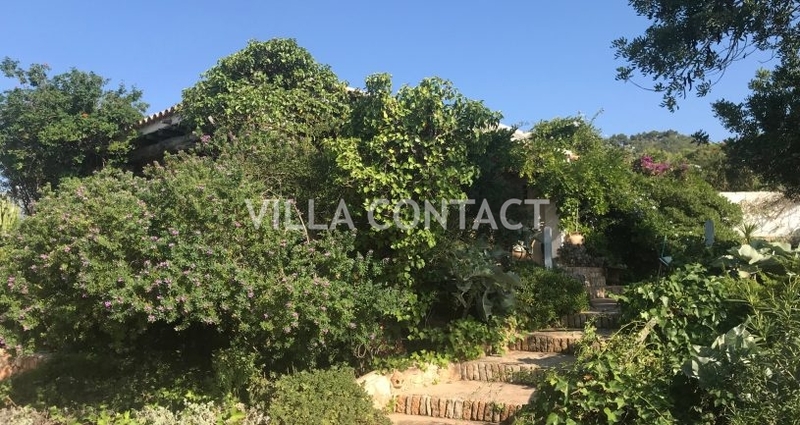 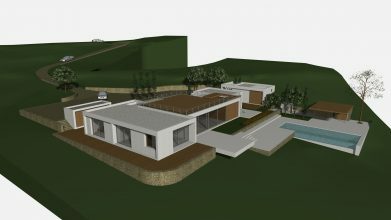 The main part of the house consists of the living and dining area and open plan kitchen all of which access a covered pergola and terrace with fabulous sea views over the garden. 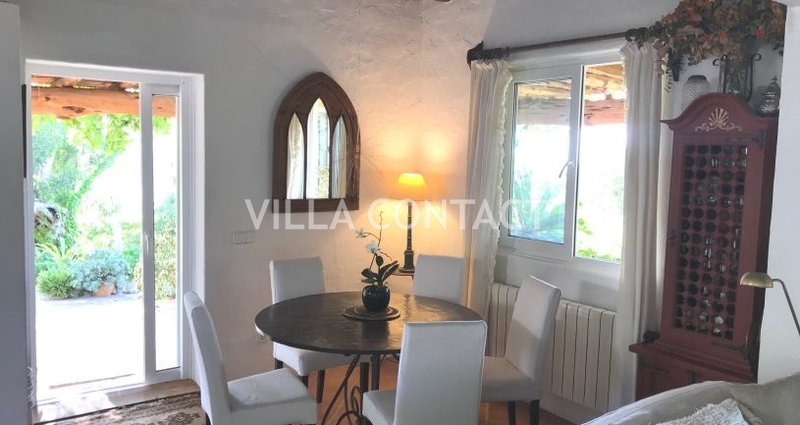 A corridor leading to the right takes you to the three bedrooms and two bathrooms all of which enjoy views across the bay of San Antonio and sea below. 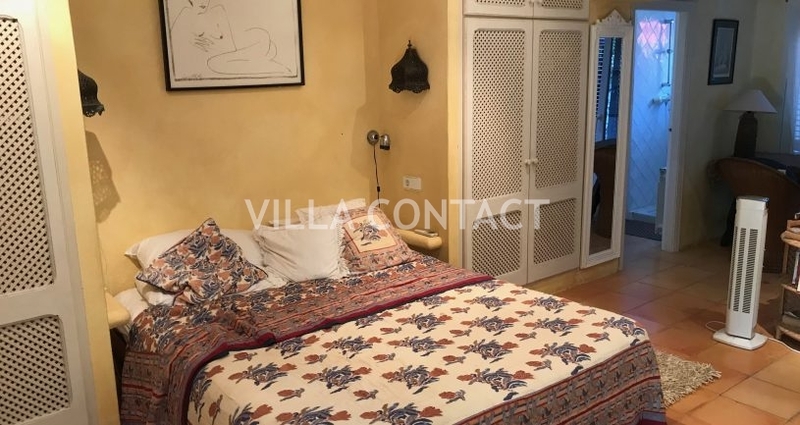 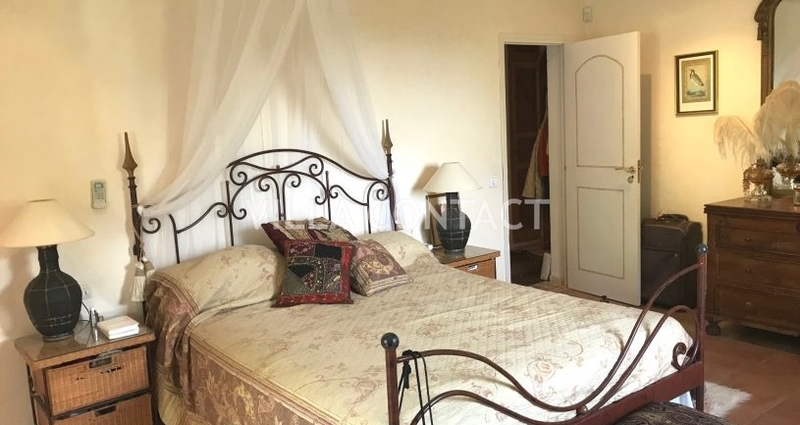 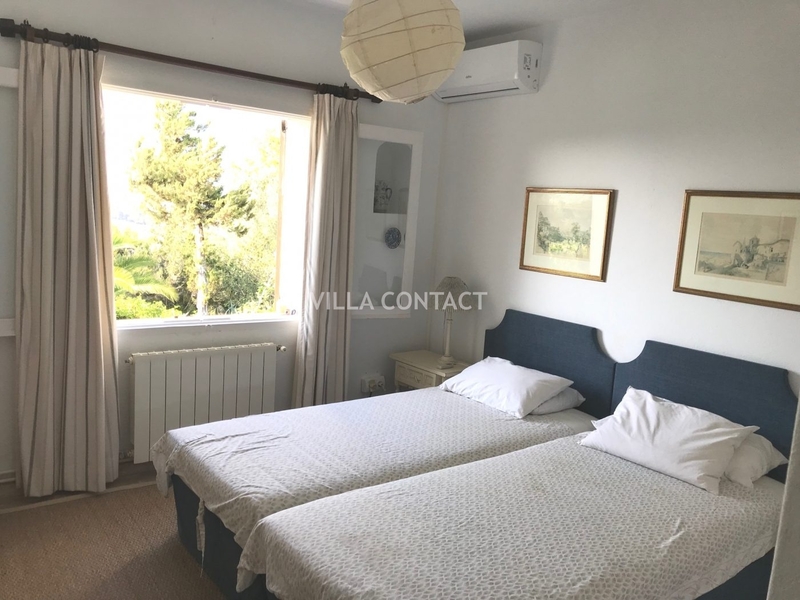 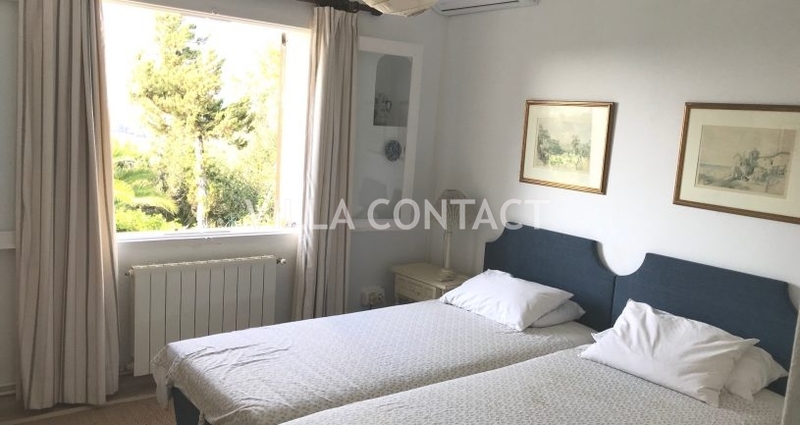 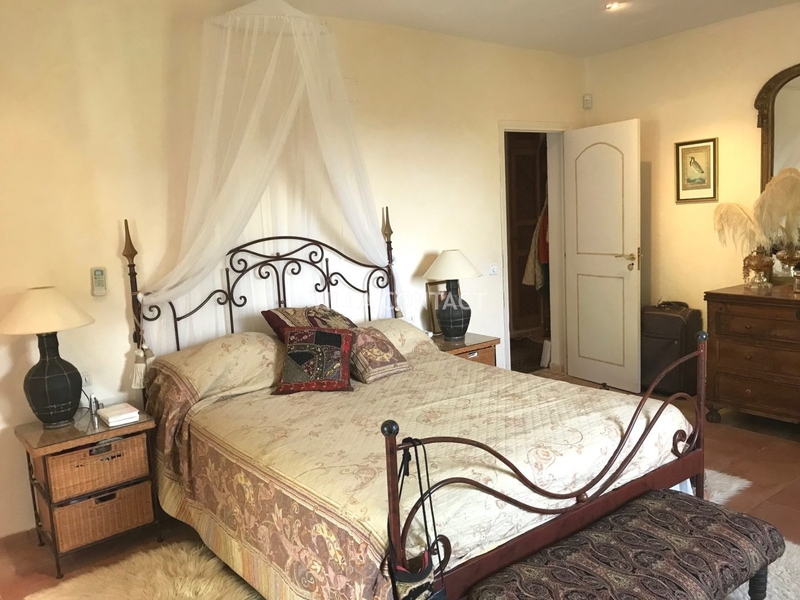 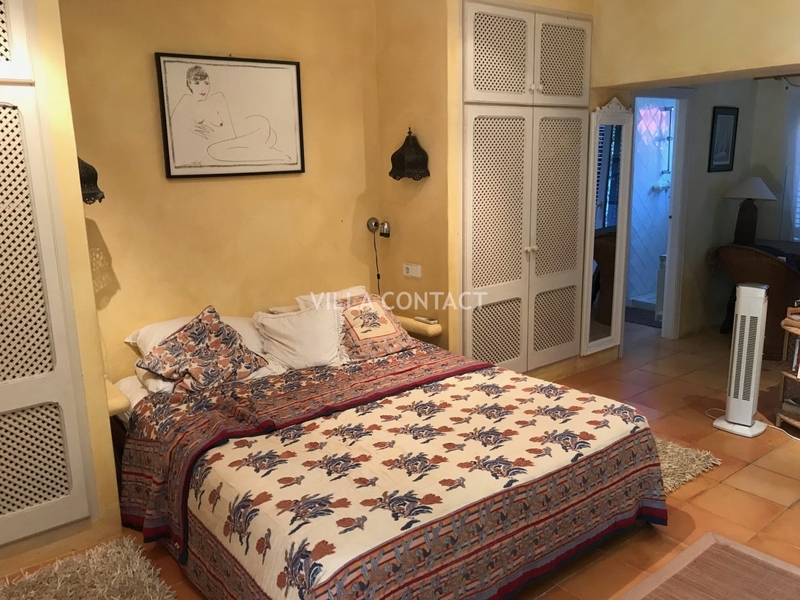 There is a separate bedroom/studio with a kitchenette and ensuite bathroom located off the courtyard which brings the total number of bedrooms to four. 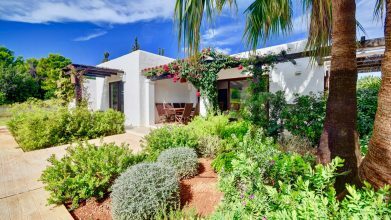 The highlight of the property are the exteriors, with its many corners and chillout areas to enjoy the Mediterranean climate. 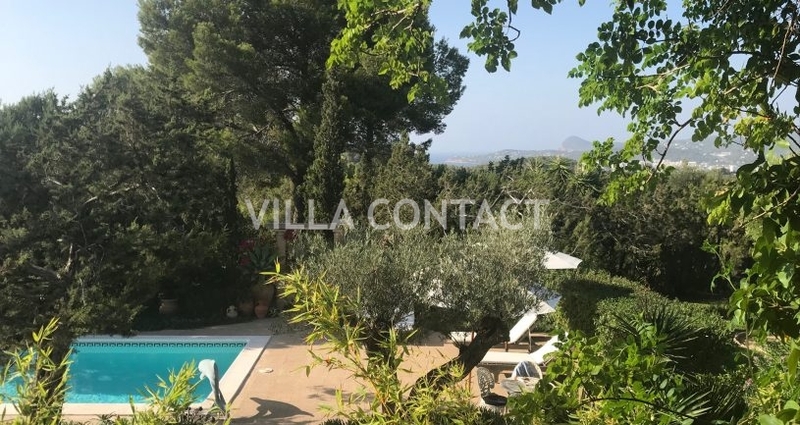 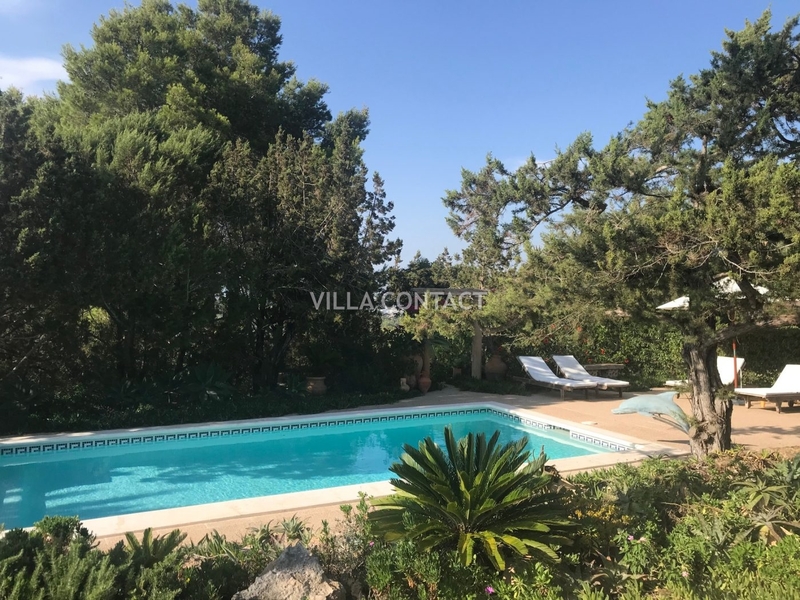 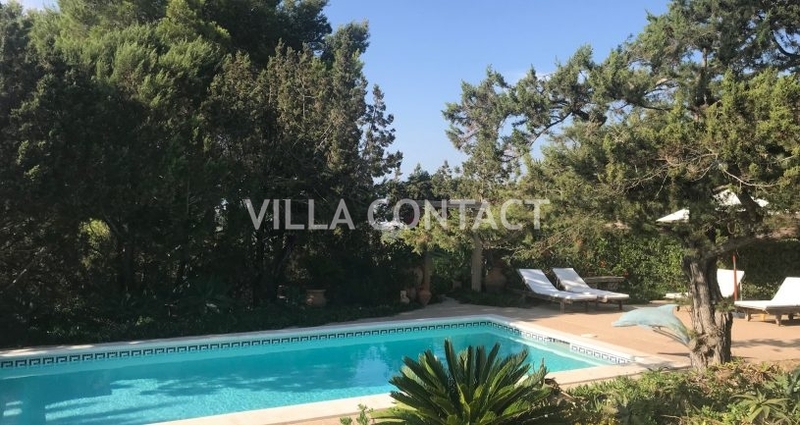 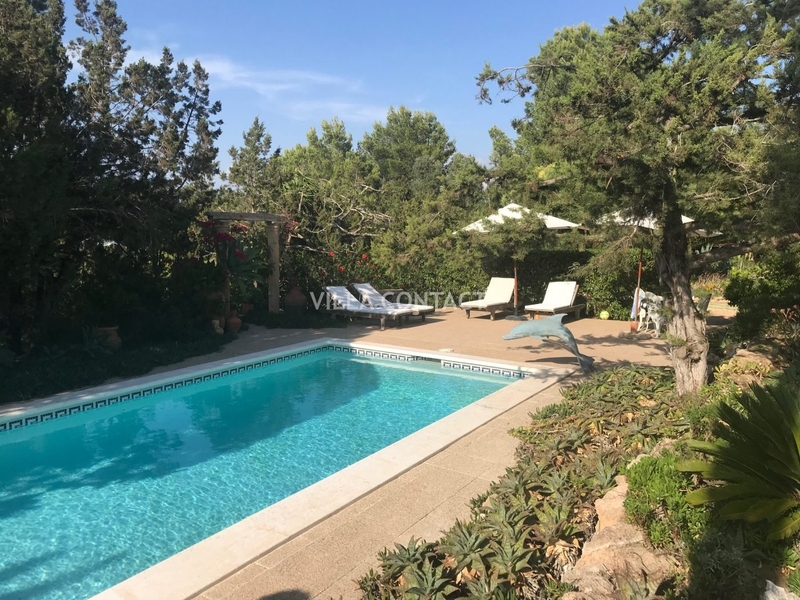 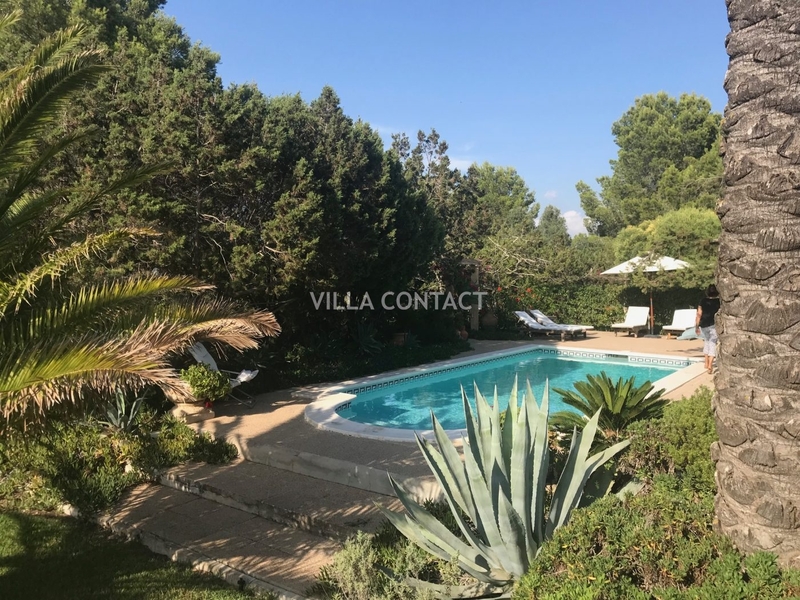 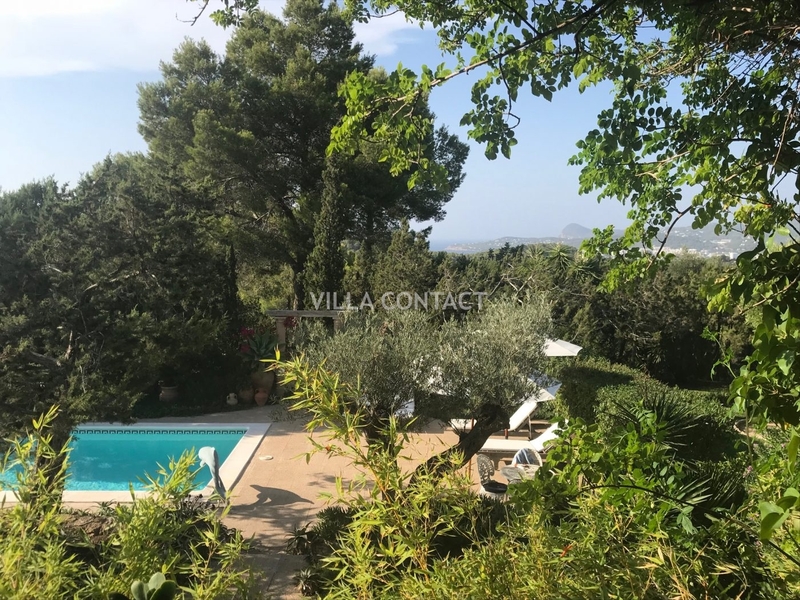 The pool deck below is surrounded by a lush mature garden of local trees and plants all of which is surrounded by the green countryside views across the valley. 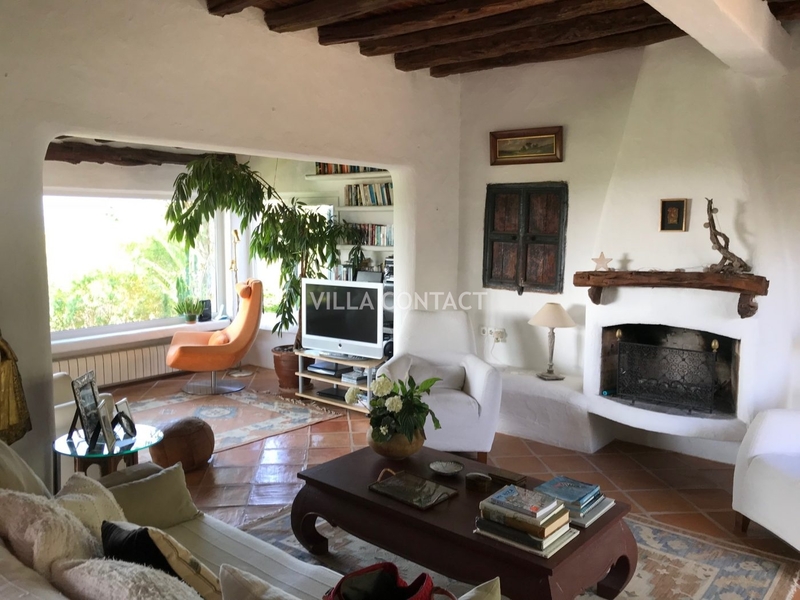 A beautiful warm place to live all year round.